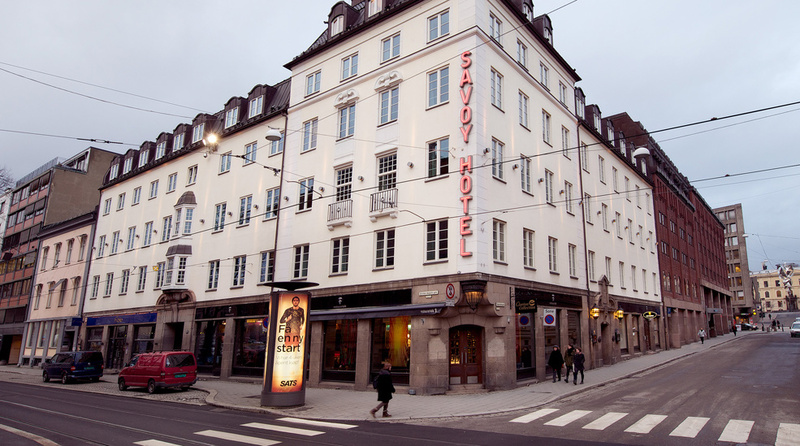 The Clarion Collection Hotel Savoy is a modern hotel in the heart of Oslo. Enjoy the vibrant atmosphere of this part of the city near great restaurants, shops, theatres and museums. Afternoon Sweets and anvening Meal included. This is a cash-free hotel. See you soon at Clarion Collection Hotel Savoy. Here are answers to some of the most FAQ from our guests. If you have any questions, please don't hesitate to contact us. Parking spaces are available for a fee in Sentrum Parkeringshus, next to the hotel. Clarion Collection Hotel Savoy is a cash-free hotel. This provides a safer working environment for our staff as it reduces the risk of theft and burglary. It also means that we have more time to spend on taking care of our guests. For guests it means faster and more secure payments. We accept all major debit and credit cards. Please contact us for more information. Free WiFi is available throughout the hotel. Ask for the access code at reception. A later check-out is possible subject to availability. Contact us for more information or to make a booking. The hotel is closed during the Christmas and easter holidays. Contact us for more information about our opening hours. You're always more than welcome to contact us on +47 23 35 42 00 or at cc.savoy@choice.no.